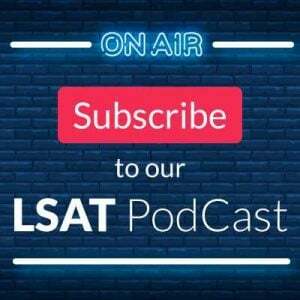 Statistically speaking, most of your friends aren’t going to law school, and – for better or worse – know very little about the LSAT. Sure, they may have heard you muttering something nonsensical about mauve dinosaurs, but they probably thought you were crazy (which is par for the course… why else would you go to law school in the first place?). If you’re taking the LSAT soon, chances are you are about to start a prep course, or some sort of a self-study plan. You will be MIA for most of November. Come Thanksgiving, you will be faced with a dilemma: either skip the holiday entirely to catch up on your homework, or show up with a pencil and a notepad, offering to make a seating chart for all of your extended family members. Either way, people will be worried. 1. Why are you studying so much? Isn’t this just like the SAT? 2. I’ve heard the LSAT is an IQ test. You can’t really study for that, can you? 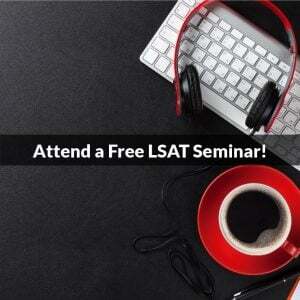 Your response: The LSAT is not an IQ test. If it were, the LSAC would be out of business. Double-digit score increases are possible with proper preparation and the right approach. 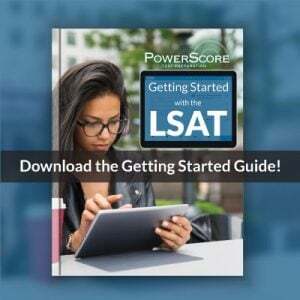 In many ways, the LSAT is more like a language test than an IQ test, and the more fluent I become in its language and reasoning, the more my score will increase. Your response? Yes, I really do. I paid good money for this class and I want to make the most of it. Sure there are online recaps for each lesson, which are great but obviously don’t provide the same interactive experience I get inside a real classroom. Plus, my instructor will miss me. 4. Go to class then. I’ll still text you while you’re in class and make sure you know just how much fun we’re having without you. Your response: Doesn’t matter, because my phone will be off. My instructor said that phones are evil, plus it’s kind of rude, not to mention expensive… every minute I spend texting you is worth $0.34. So, unless you pay me to text you, I’m not doing it. 5. What about tomorrow? No class right? Let’s go get wasted/high/whatever. Your response: Tempting, but I’ll pass. I have 150 pages of homework to do by Thursday, and I need all the brain cells I have left. See, e.g. mauve dinosaur game. Even if I show up to every single class, my score won’t magically improve by some intellectual osmotic pressure. Homework is where it’s at. 6. So lame. What about the weekend? Apparently, the effects of sleep deprivation can last for awhile, and are not easy to fix: even if I manage to sleep for 8 hours the night before the test, prolonged periods of sleep disruption (e.g. partying on weekends) can impede my ability to concentrate, to read closely, and to analyze information creatively. Hope you understand. 7. Is this really worth it? Your response: SO worth it! This is an amazing post that we can all relate. I would add one more question; “but that attorney or this attorney are well off and they did not attended a top law school (60 or 70 and under in the ranks), why should you study so much for this test? My response: Well, most likely when that attorney started the market was totally different from what is it today. Also it might have taken him 20 years to build his six digit salary which I could achieve in my first year of work. Finally, my desired field of law and career goals might be different from theirs. In summary the market has change and my goal and theirs are different. This test is a must path to achieve my goal.